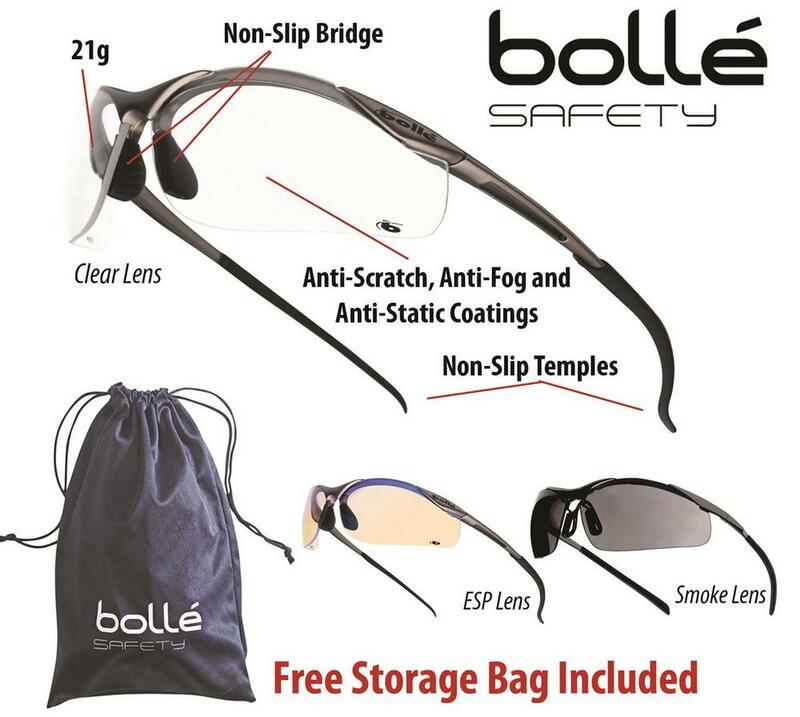 Great glasses from Bolle with real comfort over long periods, combine good design and conforming to requisite levels of protection. TPE nose bridge and temple grips and incredibly lightweight (21g). Comfort and protection, market-leading levels of fit. 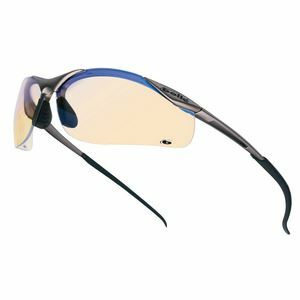 Integrated side shields with an excellent panoramic field of vision. 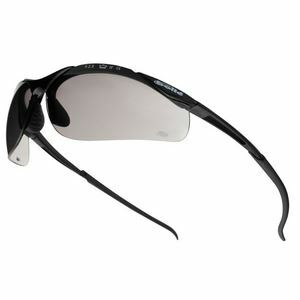 Suitable for outdoor and indoor work, lightweight, sports style frame. FREE Microfibre bag - for carrying and cleaning the lenses. Conforms to: EN166 (protects agains impact), EN170, EN172 (99.99% UV protection).